Gartner has released preliminary shipping and sales figures for the US computing sector that show a 12.3 per cent increase in the number of PCs shipped in the first quarter of 2008 despite the mounting economic gloom. According to the figures, PC shipments grew from 63,250 in Q1 2007 to 71,057 in Q1 2008, with nearly all of the major manufacturers gaining from the boost in business. Dell, which is now back under the stewardship of founder Michael Dell, saw the upturn in fortunes it had hoped for with a bullish 15.7 per cent surge in growth ahead of its nearest rival HP, which actually recorded a 0.2 per cent fall growth. 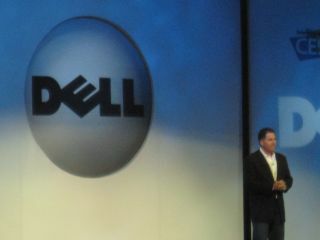 In total Dell owned 31.4 per cent of the Q1 2008 market in the US, compared to HP’s 25 per cent. However, in terms of global shipments HP remains the world’s biggest PC maker with 18.3 per cent of the global market compared to Dell's 14.9 per cent. While Dell appears to have done well, and HP has just about stood its ground, the same cannot be said for third-placed Acer, which saw a reduction in both shipments and market share contribute to a fall in growth of 18.3 per cent year-on-year. Elsewhere, the figures revealed that Apple has overtaken Toshiba for fourth spot, with total shipments of 1.1 million to Toshiba’s 840,000. Apple now finds itself ready to bite at Acer’s heels. As noted by Channel Register, if Apple does manage to leapfrog Acer in the coming year then it will have reached a position it’s not occupied since the mid-80s.